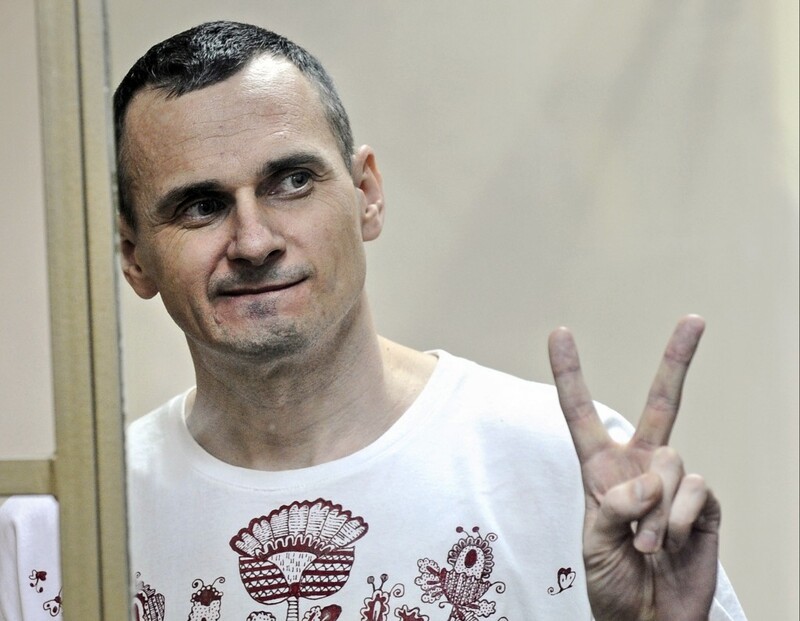 PARIS (AP) — French President Emmanuel Macron has told Russian President Vladimir Putin about his concern for a Ukrainian filmmaker who is on a hunger strike in a Russian jail. The French president's office said Macron and Putin spoke by telephone. The presidency says Macron urged the Russian leader to find a humanitarian solution since Oleg Sentsov's health "seems to be dangerously deteriorating." The statement says Putin pledged to release information about Sentsov, who spent his 89th day without food Friday. The filmmaker, an opponent of Russia's annexation of Crimea, is demanding that he and 64 other Ukrainians imprisoned in Russia be released. He was sentenced in 2015 to 20 years for conspiracy to commit terrorism, a crime he denies. The statement says the two leaders also discussed the conditions to ensure the safe and voluntary return of Syrian refugees.